Photo booths are becoming more and more popular for all parties. Booths are popping up at backyard Sweet 16's, Quinces and more. Because of this, we are offering plenty of options that fit your vision of the perfect photo booth experience. Please review these options and let us know if you wish to include these in your rental package. Has the fun continued longer than you were expecting? If so, One Touch offers extra hours at a discounted $100 per hour. No extra paperwork is needed. Just speak with your attendant and let them know you would like them to stay longer. Payment is due at the end of the evening. Note: Extra hours are available if the attendants are not scheduled for a following event. Click here for suggestion on choosing the perfect amount of time for your party. Want to glam it up? We offer a red carpet and stanchion set up to give your guests the VIP treatment. Featuring 4 stanchions and velvet ropes and plush red carpets, this set up becomes part of the decor for your event (Free). Create extra special memories with our popular scrapbook option. This option features a high quality scrapbook, pens and markers to create an album that you can cherish for years to come. We also include an attendant to help guests with photo placement into the album. All photos taken during the event will be placed into the album and signed for a fun and memorable experience ($50.00). All photo booth rentals include a 2x6 inch photo strip. You can upgrade to a 4x6. Each guest will receive a copy and prints are unlimited! What a wonderful way to celebrate your special event ($99.00). Our photo editors will take your images and create a slideshow for you to share with your friends and family on Facebook or other social media. Each slideshow is set to music and include special effects to match your theme (Free). This is our special way to say thank you for choosing us for your special event. We are always adding more background choices. Our photo strip designer will choose the background that works best with your photo strip. If you have a preference, please add your choice to your contract. Our popular ribbon roses come in white, red, teal and pink (Free). Do you want the Kim Kardashian photo booth style? 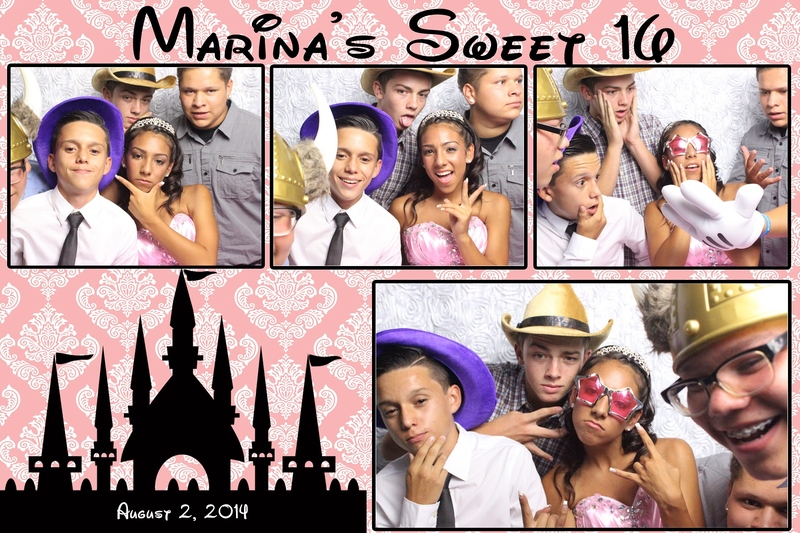 We offer color, black and white and sepia tone images to match the style of your Inland Empire Photo Booth Rental. Choosing the best type of photo booth rental for your special event can be difficult without good communication with your provider. We created simple list of different types of booths commonly available.